You may have purchased various cosmetic products and noticed “hyaluronic acid” listed as one of the ingredients. But did you know what it was? Did you know that many of the fillers we use here at Genesis Dermatology in Jupiter, Florida, also contain this substance? Finally, did you know that there are ways to produce this youth-boosting compound naturally? Hyaluronic acid is type of carbohydrate that is naturally present in the body. When introduced either topically, orally, or through injections, it acts as a skin soother that also helps moisturize surface cells (humectant). It is a type of sugar (polysaccharide) that is present between skin cells in the body, and helps tissues retain water. In fact, it can hold up to 1,000 times its own weight in water, which is why skin high in hyaluronic acid looks so plump and firm. We are born with high amounts of hyaluronic acid that diminish over time, especially after the age of 40. That’s when you begin to notice subtle changes in your skin’s youthful appearance, with the decline especially visible once you reach your 50s. Estrogen helps produce hyaluronic acid, which is why noticeable wrinkles and sagging skin are a hallmark of the post-menopausal years. In addition, its loss can be accelerated by such adverse health practices as smoking and exposure to the ultraviolet (UV) light in the sun, as well as genetic factors and various chronic illnesses. When you replenish skin with hyaluronic acid, it regains much of its youthful, fresh appearance. Wrinkles are diminished and the skin surface becomes smoother. 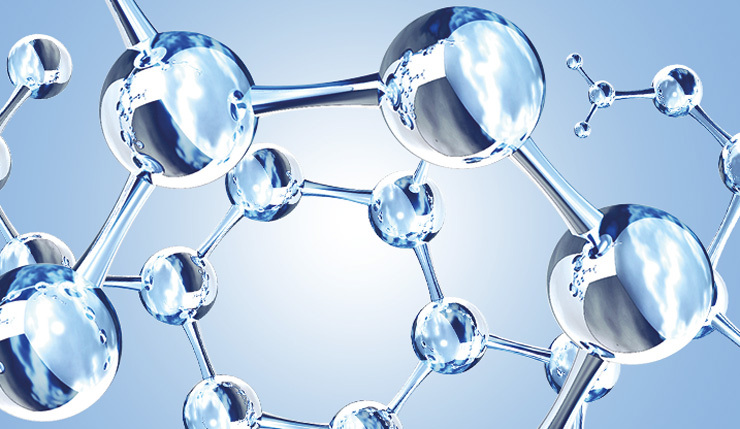 Not only does hyaluronic acid make moisture more available to the skin cells, it can even reverse free radical damage. Finally, hyaluronic acid helps retain collagen, the substance that supports skin tissue. Other uses for hyaluronic acid besides cosmetic purposes include: promoting rapid repair of wounds; treating bites, burns, ulcers, and mouth sores (including cold sores); relieving chronic dry eyes; lubricating arthritic joints; and even protecting against inflammatory bowel diseases such as ulcerative colitis and Chron’s disease. Hyaluronic acid can be used on any skin type, from dry to oily, and has almost no known side effects. The few that have been reported are mild allergic reactions which resolve when the product is discontinued. As we mentioned earlier, hyaluronic acid is available in numerous over-the-counter skin care products, from creams to serums, in all price ranges. It can also be taken orally for the various medical conditions listed above. It is also a major component of many of the injectable fillers we offer, such as Juvederm Ultra Plus, Allergan, and Restylane. These offer immediate, dramatic results that are not available from the topical products, because topical applications cannot penetrate the skin surface. In addition, hyaluronic acid injections have been shown to last longer—up to 18 months longer—than collagen injections. The good news is that you can also increase the production of hyaluronic acid naturally through the various foods you eat. Homemade broths made from animal bones, skin, and connective tissue contain high levels of hyaluronic acid and are the optimal way to increase the body’s supply. Meats and seafood—especially organ meats and those with the skin on—are also high in hyaluronic acid. If you’re a vegetarian, look to leafy greens (the darker, the better), bell peppers (any color), carrots, potatoes, sweet potatoes, broccoli, asparagus, avocados, and nuts—especially peanuts. All are known to contain hyaluronic acid, which is then distributed throughout the body. Oranges, grapefruits, and lemons contain the vitamin C needed for the body to stimulate hyaluronic acid production. Other fruits such as berries, grapes, mangoes, bananas, and apples are also high in the necessary vitamin C.
Soybeans, tempeh, tofu, soymilk and cheese will all raise estrogen levels in the body, and thus support production of hyaluronic acid. Herbs high in vitamin C include cilantro leaf, thyme, dill, and parsley. Brown rice and whole grains supply the zinc necessary for the body to produce its own hyaluronic acid. The resveratrol contained in red wine helps increase the production of hyaluronic acid. Not a wine drinker? Purple grape juice is also high in resveratrol, or you can take resveratrol supplements. In addition to these natural sources, let the board-certified dermatologists at Genesis Dermatology show you how the use of hyaluronic acid injectables and fillers can sculpt and refresh your skin to achieve the most long-lasting, radiant results for your skin. 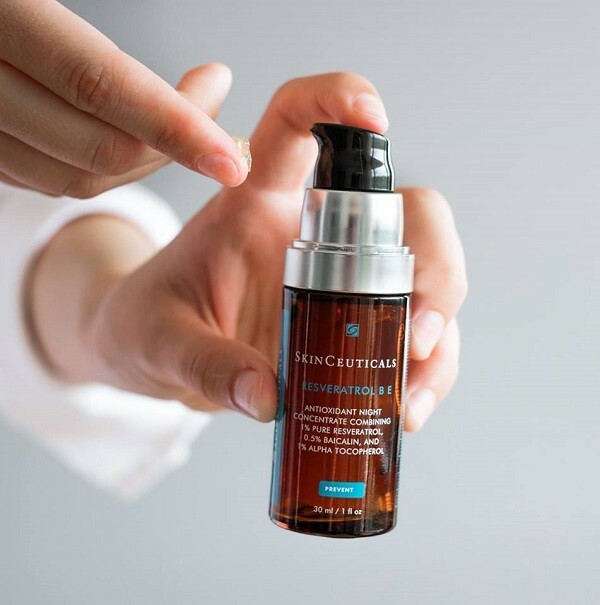 Come in and get a topical Resveratrol BE night serum from Skin Ceuticals to start your new year topical regimen off right. Get 20% off when you mention this article!